Gain a larger sweet spot with the Champion Sports Oversize Racquetball Racket! The racket features an all aluminum frame with a wide body construction, durable nylon strings, and a comfortable leather grip. 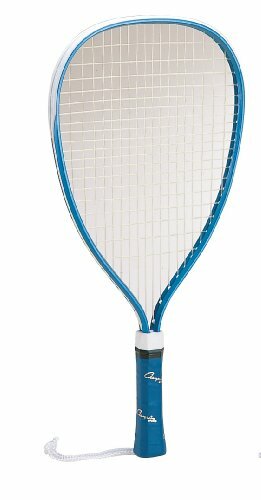 The Oversize Racket from Champion Sports is perfect for recreational play.